This impressive case of Whooper Swans is estimated to sell for £800- £1,200. Summers Place Auctions are to sell The Barker Collection of fine taxidermy on Tuesday 5th April 2016. 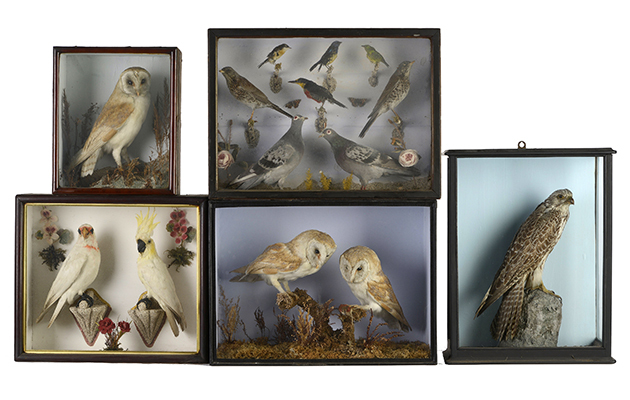 The collection includes about 80 lots by some of the best Victorian taxidermists. Estimates range from £50 to £1,500 and the collection will be part of a live auction. If you’re looking to sell or buy a hunt horse rather than taxidermy, read Brightwells to hold hunt horse end-of-season sale. The sale is to be held as a live auction on Tuesday 5th April 2016. The Barker Collection of fine taxidermy was collected by a real enthusiast in the 1970s, but has since been forgotten in storage. When the current owner was reminded of his collection and realised that taxidermy is back in fashion, he decided that it should be on view again for new owners who would appreciate it as much as he did almost fifty years ago. 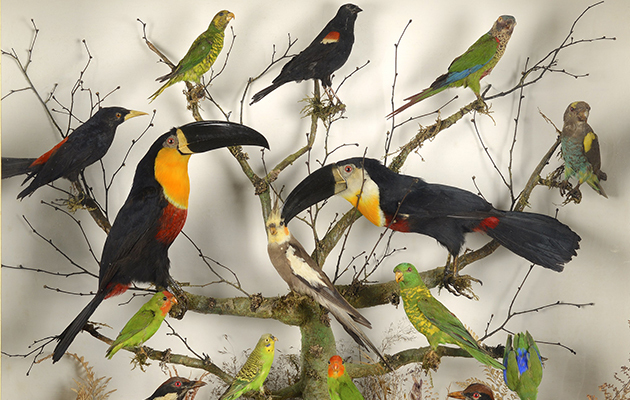 This case of two toucans and an assortment of Australian parrots and pittas from circa 1900 are estimated at £600 – £1000. 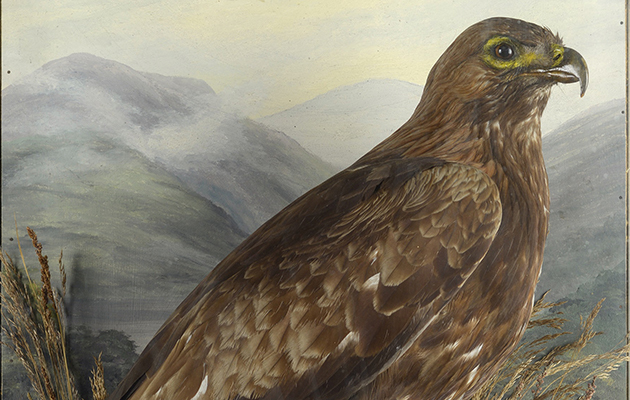 Highlights of The Barker Collection include a case of various species of harrier by Hibbs of Ollerton, which is late 19th century and almost one metre high and over one metre wide. It is estimated to fetch between £1,000-£1,500. A case of three buzzards by the same taxidermist, as well as a case of various kestrels and merlins carry the same estimate. There are also lots by Hibbs available at the lower end, including a case of warblers and several small British birds from 1892-1894 which is estimated at £200-£300. The Leadbeater of London lots are also estimated at £200-£300, including two pairs of geese from circa 1850. Rowland Ward was one of the most celebrated taxidermists of the Victorian period, catering for the rich and famous from his Piccadilly premises. Summers Place Auctions’ sale includes a kestrel in an all-glass case by him, estimated at £300-£500. The collection was built during the 1970s and then forgotten in basement rooms of the owner’s house. For more information about Summers Place Auctions’ sale of The Barker Collection, visit their website or call 01403 331331.